Snail Mail at Brooklyn Bazaar on Friday, January 26, 2018. Lomelda at Brooklyn Bazaar on Friday, January 26, 2018. Fits at Brooklyn Bazaar on Friday, January 26, 2018. On Friday, January 26, Snail Mail, Lomelda and Fits performed at Brooklyn Bazaar. 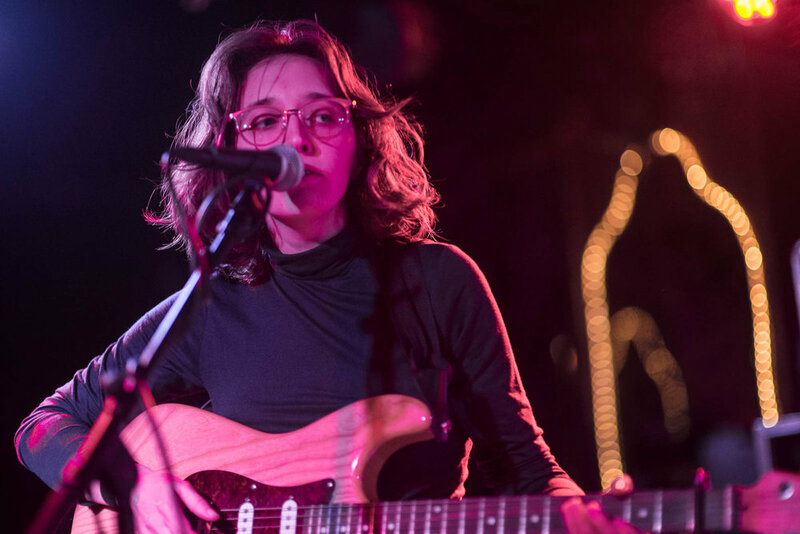 The show was sold out and marked the Snail Mail's first headlining NYC show. A pretty impressive feat considering that Lindsey Jordan opened for Priests on the same stage a year before. Full gallery now available on Brooklyn Vegan here.